It is amazing how fast security measures are bypassed by hackers. it seems Windows 8 is now Malconed! 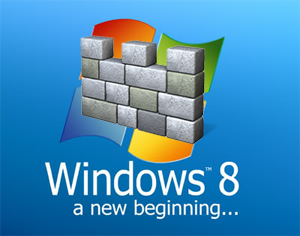 Peter Kleissner has created the world's first Windows 8 Bootkit which is planned to be released in India at the International Malware Conference MalCon. An independent programmer and security analyst, peter was working for an anti-virus company from 2008 to 2009 and was speaker at the Black Hat and Hacking at Random technical security conferences. While his main operating fields are Windows security and analysis of new malware, his recent Important projects include the development of the Stoned Bootkit, a research project to subvert the Windows security model. As per the MalCon website, peter's travel is still not confirmed citing VISA issues, however, there are chances that the presentation may be done over the video or a speaker may step in on behalf of peter and release it at MalCon.